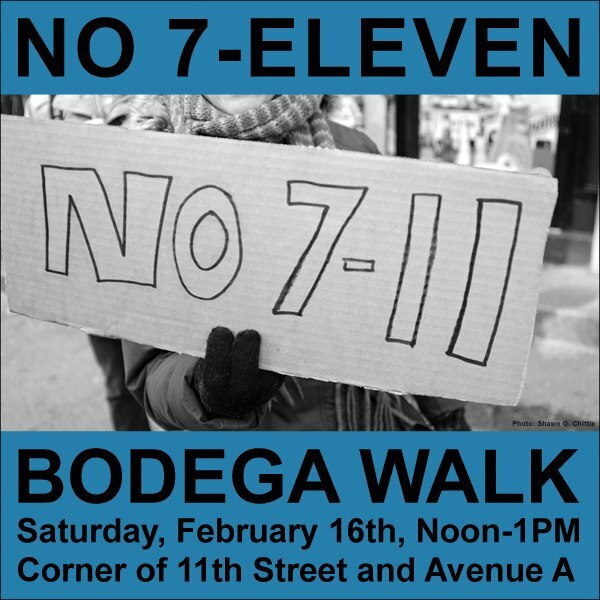 The grassroots New York No 7-Eleven protest group is hosting its second Bodega Walk today from noon – 1 pm. The Bodega Walk is launching from the 7-Eleven construction site at 11th Street and Avenue A. The No 7-Eleven group protests are in response to the announcement that 7-Eleven plans to open 100 new stores in Manhattan by 2017. The group is taking to the streets to spread awareness both to New York inhabitants and to the owners of local bodegas who are unaware of the plans. Iannillo claims that 7-Eleven openings “choke out local convenient stores, bodegas and delis, and have a negative impact” on the character of New York neighborhoods. No 7-Eleven has launched an aggressive anti-corporate campaign, establishing both a FaceBook page and Twitter account. ‘No 7-Eleven’ is a grassroots campaign by New Yorkers taking a stand against the increasing flood of chain stores like 7-Eleven which threaten to undermine the free market, damage the local economy and whitewash the character of our communities. To Pringle-ize: 1. To treat citizens like consumers. To commodify humanity so we fit in a tube. The group is also taking to the streets, hosting Bodega Walks every two weeks, distributing flyers, press releases and anti-7-Eleven stickers for display in neighborhood stores. But aren’t 7-Eleven franchisees small business owners too? The group acknowledges that 7-Eleven stores are owned by franchisees, who are also small business owners. 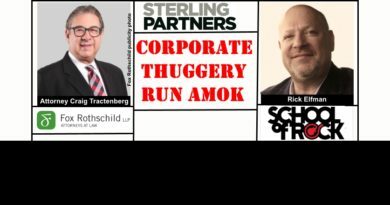 However, they still operate under the control, direction and homogenized branding of the franchisor corporation. …Robert Galinsky, a bodega walk organizer, said although each store may be independent, they are still under the guise of a larger corporation, which causes a disconnect with the store and local community. Eileen Myles, another organizer of the No 7-Eleven group and NYU English professor, further explained how franchise stores undermine a community. 7-Eleven director of corporate communications Margaret Chabris fired back at the Sandy criticisms, pointing out that it was 7-Eleven – not local bodega owners – that contributed $450,000 to Hurricane Sandy disaster relief. Plus… local bodegas don’t have SlurpeesTM or Big GulpsTM. And wasn’t it the price gouging, limited hours and selection, cleanliness and service issues that prompted the rise of chain c-stores in the first place? In the end, consumers will vote with their wallets as to whether they value consistency over character. Which do you think will win the hearts and minds of neighborhood New Yorkers? WHAT DO YOU THINK? DO 7-ELEVEN FRANCHISES DESTROY THE CHARACTER & SOCIAL FABRIC OF URBAN NEIGHBORHOODS? OR DO THEY PROVIDE THE CONSISTENT, EFFICIENT SERVICE CONSUMERS PREFER? ← DAVID RUTKAUSKAS Are His 500,000 Twitter Followers Fakes?